When winning the conference banner is seen as a virtual guarantee, Dalhousie’s track and field program needs a different measure of success. For Tigers coach Rich Lehman, winning their 24th women’s title in a row and 12th consecutive men’s crown is not good enough. He wants his team to dominate. “If we go to an AUS championship and we’re not basically rewriting the record book every year, then it’s maybe not what it could have been,” says the first-year head coach. As expected, Dal handily finished at the top of the team standings Feb. 23-24 in Moncton, but it was in the individual events where the black and gold showed their mettle. Dal’s graduating core were among the university’s best performers. Rob McCulloch once again broke the AUS record in the five-event pentathlon, as he has in each subsequent year after shattering the record in 2009, his rookie year. Elizabeth MacDonald also broke her own league record with a weight throw of 17.07 metres and Simon Watts put up impressive numbers, earning gold in the triple jump, long jump and high jump. In the country, McCulloch is slotted fourth in the pentathlon and high jump while MacDonald is ranked fourth in the weight throw. Watts may expect his best performance in the triple jump where he’s listed in third. The three graduates will join nine other Tigers at nationals Mar. 7-9 in Edmonton: Rebecca Haworth and James Gillis in high jump, Matt Baker in pentathlon, the women’s 4×200-metre relay team and AUS rookies of the year Sarah Taplin (triple jump) and Jordan Bruce (triple jump, hurdles). MacDonald, the self-described “defending ninth-place champion,” hopes to improve upon her three previous results at nationals. Lehman has high hopes for the Oromocto, N.B. native. Watts will represent the Tigers at nationals in all three of his events, where he is pleased to lift off with several ‘flight crew’ members. From Dal’s jumps team, coach Kevin Bourgeois is sending an astounding seven of his 13 athletes to nationals. 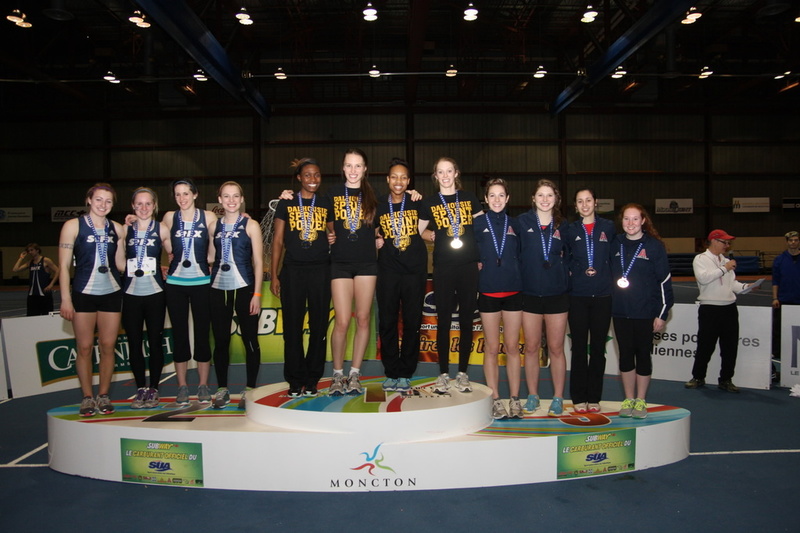 Dal took home hardware in three field events last March at nationals. Watts became the first Tiger to ever win a gold medal in the triple jump and McCulloch earned bronze in the pentathlon and high jump.